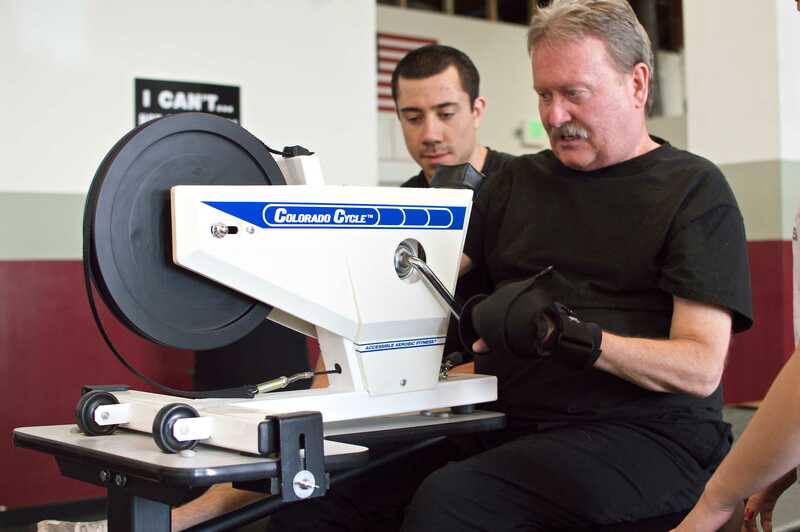 Rehabilitation is important for many after surgery or injury but for those with a hand weakness or muscular disability it can be hard to get a grip on equipment vital for reconditioning the body. 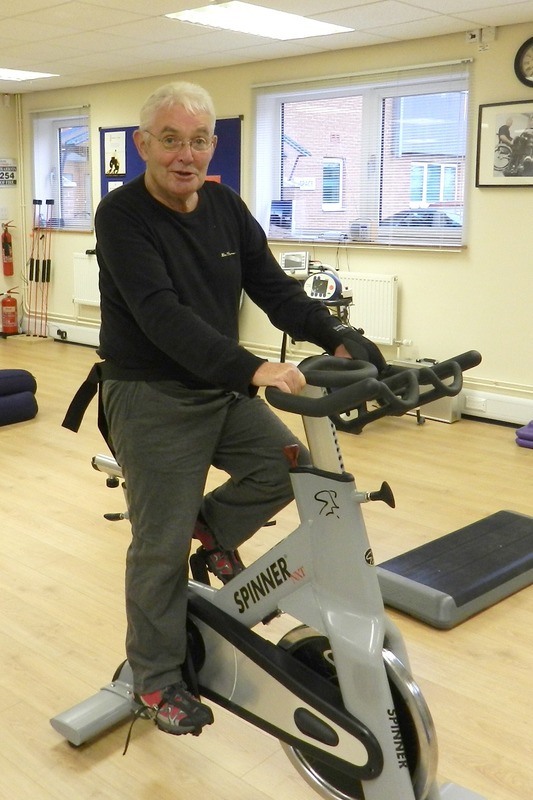 One of our customers, Rebecca, undertook some rehab through the YMCA “Live Strong” programme for cancer survivors but could not grip onto the training equipment. 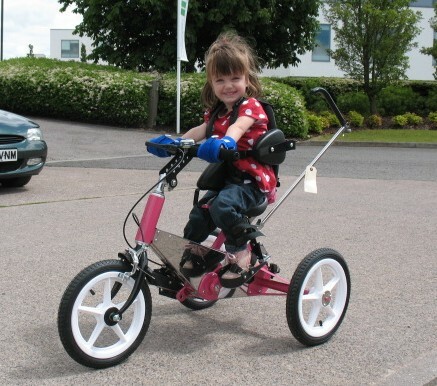 Until her parents discovered Active Hands they had to put their hand over hers and hold her onto the equipment. Read more about Rebecca here. Many of our customers have said that they resorted to taping and bandaging hands to equipment before they discovered our product. 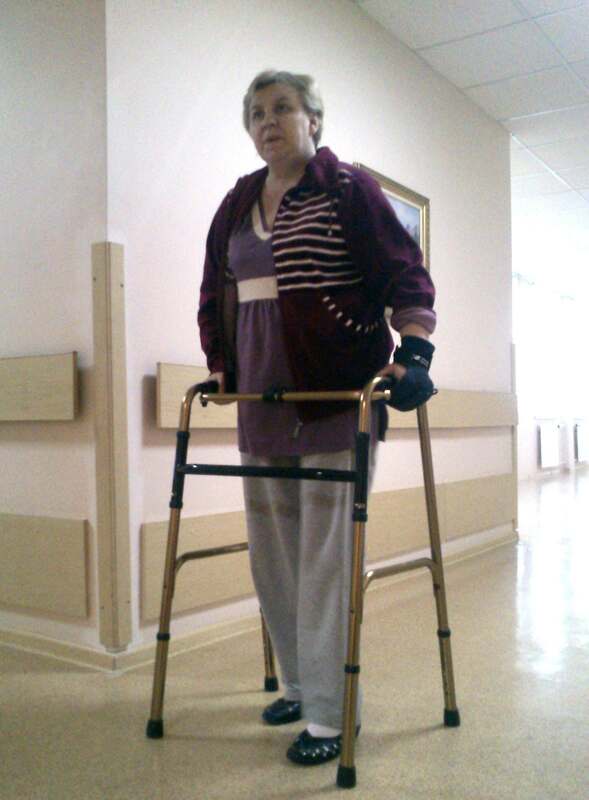 Our gripping aids can be used with walkers. 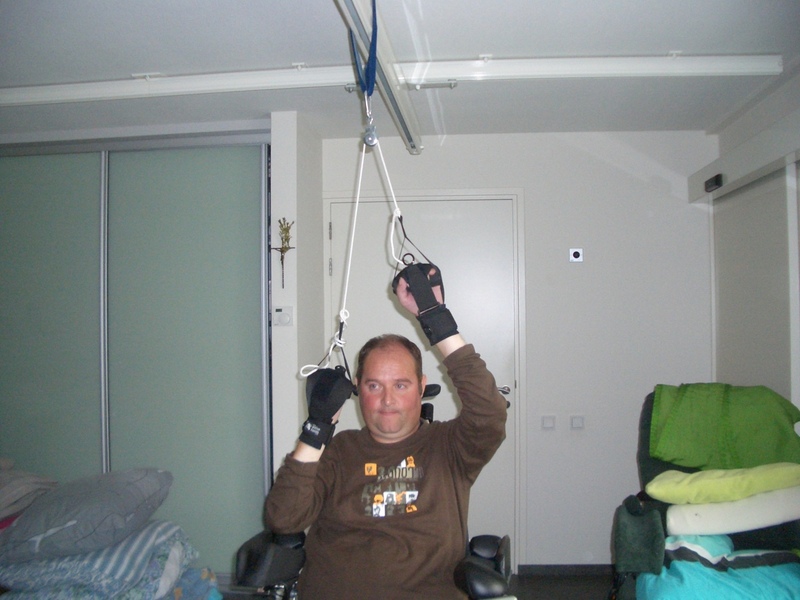 Stroke survivors can use our gripping aids with ceiling pulleys to strengthen weak sides. 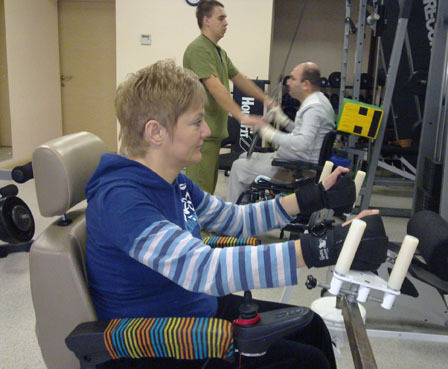 Our Limb Difference aid can be used in rehab for patients who have fingers or hand parts missing. They can be used for the same activities as the General Purpose aid and the double-strap design gives a firm hold on many items. The patient will require a wrist that is wide enough to keep the wrist strap in place. 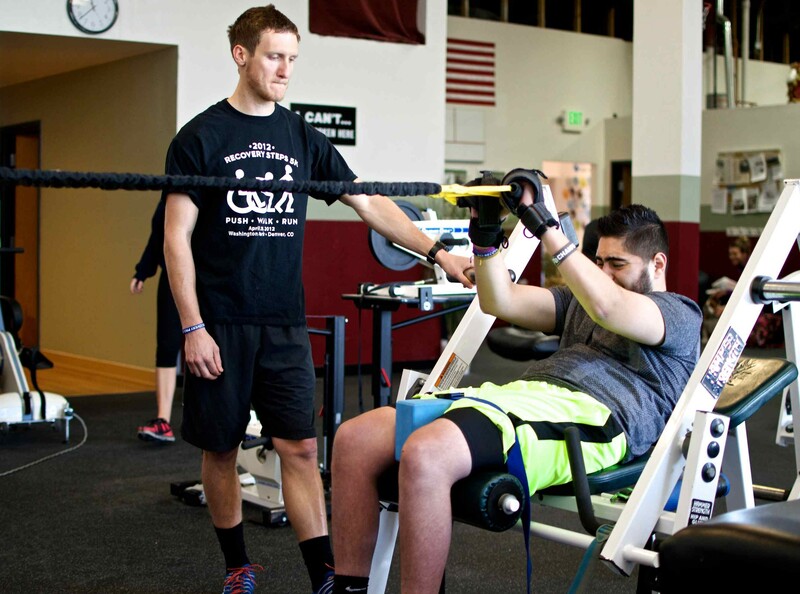 The team at SCI Recovery Project based in Denver, Colorado use Active Hands General Purpose gripping aids with their clients. 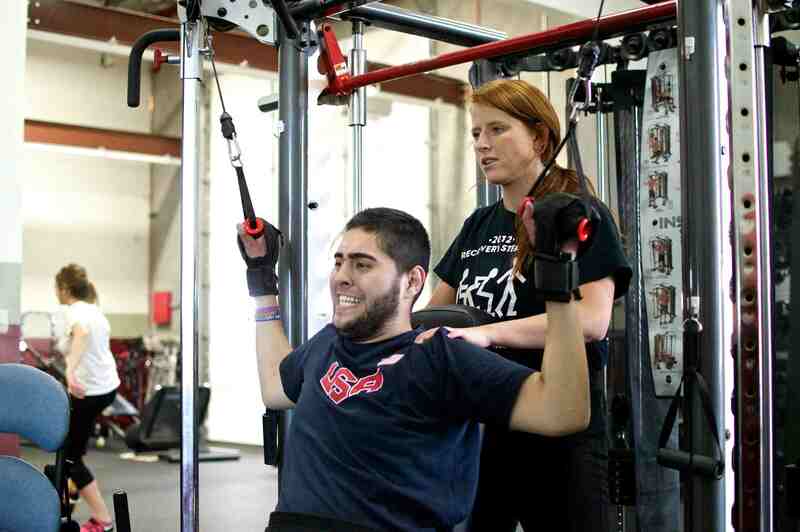 The Project works to rehabilitate people who have suffered spinal injuries. 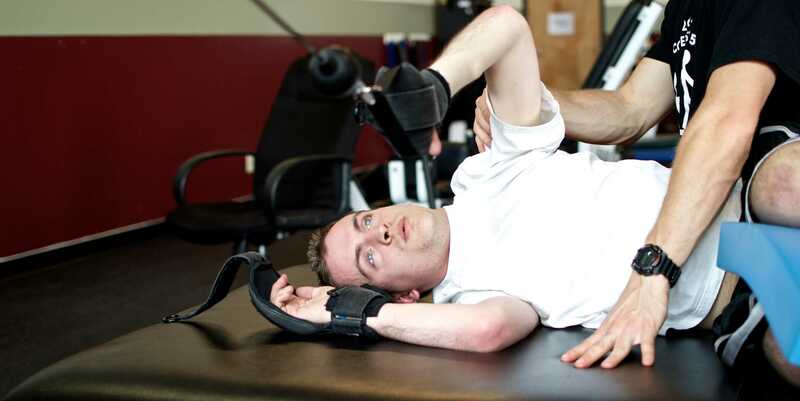 This video shows many of the ways our gripping aids can be used during rehabilitation. 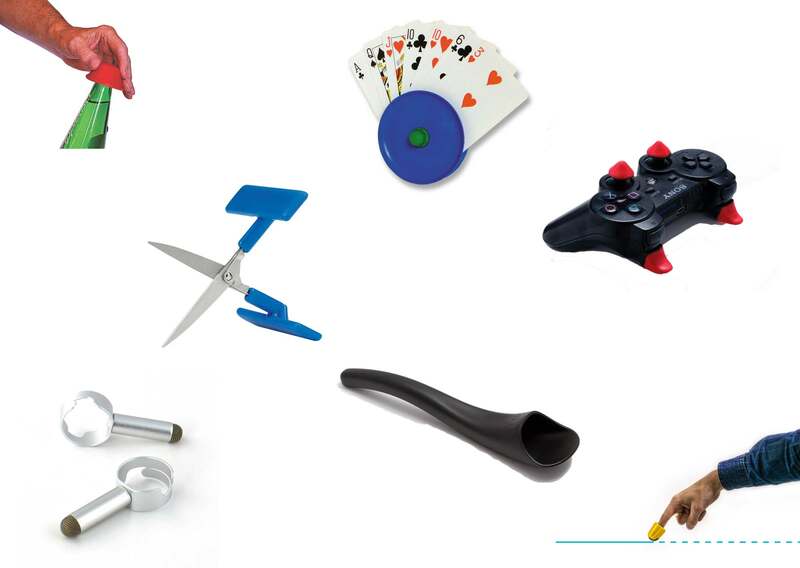 We make a wide range of other gripping aids that could be useful for Physiotherapy and Rehabilitation. Please a look at the Looped Exercise aids, D-Ring aids and Hook aids on our shop page. You can make savings by purchasing these items (and others) in our Gym Pack Deluxe. Get a grip on any equipment. Our aids are great for use during physio or rehab. General purpose aids are great for building strength. General purpose aids are versatile - we also do D-Ring aids that are great for cable and pulley systems. 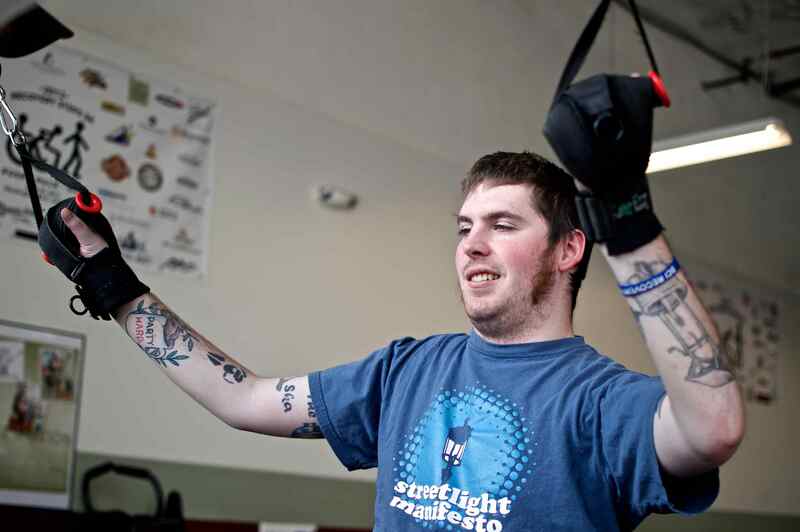 Get a firm grip for hand-cycling. Our gripping aids can be used with FES. 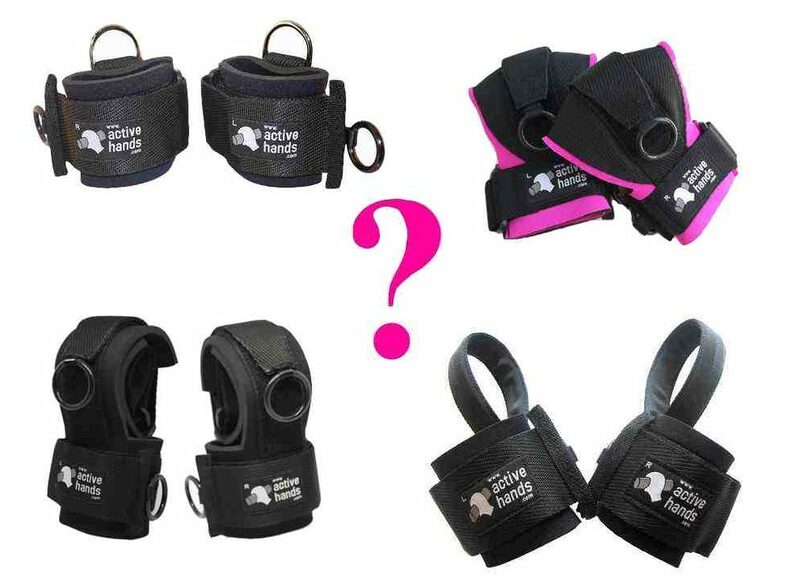 Our gripping aids give a firm grip on pull-up bars.